ddd75 wrote: had to replant some of mine.. used some older seeds and they didn't do anything.. oh well. I trash my old seeds every year ... been there done that... gardening is too much work not to start off on the right foot. That stinks hope it works out well. got most of it replanted and we got a few days of rain, so that helps. I'm trying some flowers in between rows of green beans.. we'll see if that cuts down the pests. 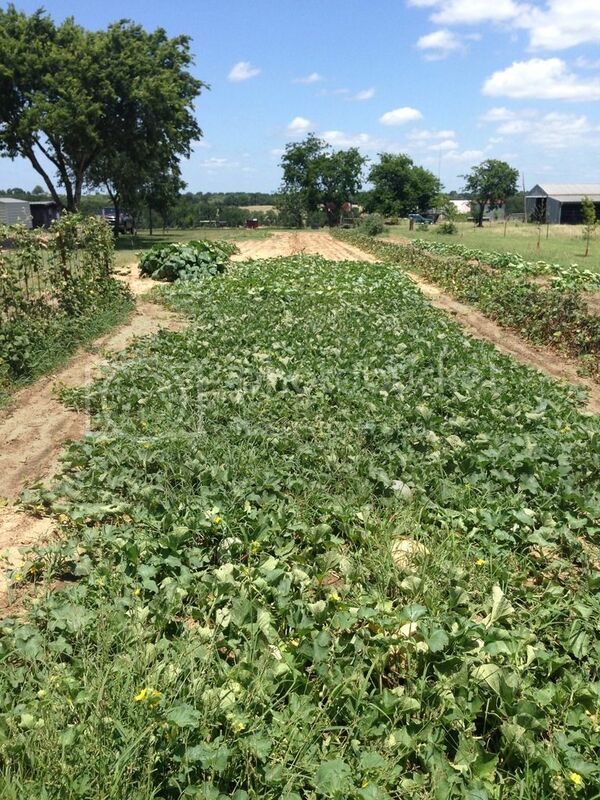 Cantaloupe crop is coming in. Haven't had one thes good in years. I planted two varieties of 30 seeds each, about a dozen hills all together. Picked 3 Wednesday, 11 Saturday morning......and 33 today. Nice looks good ... I have some growing I will see what they do.. I hope they are good and sweet. Vette, those c antelopes look good. Sort of a feast or famine deal isn't it. Its been cloudy and drizzling rain here so I thought I'd take advantage of the cool weather and break some corn. This is some of that GMO corn everyone is warning us about. Not sure if I should risk it but I think I will because I like living on the edge. Jogeephus wrote: Vette, those c antelopes look good. Sort of a feast or famine deal isn't it. Worms won't even eat it...... Mine wasn't near that pretty but it tasted good anyway. 1982vett wrote: Worms won't even eat it...... Mine wasn't near that pretty but it tasted good anyway. Exactly! Just goes to show how unsafe it is if the worms won't eat it. I couldn't help myself and went on and ate some for lunch and am now afraid some strange appendage might grow out of my head. This isn't my corn but my neighbor's. I don't even know the name of it other than its a long string of numbers. Its some new hybrid. His son works for Monsanto so he has a great seed source. I have to say its some of the sweetest most uniform and bug free corn I've ever eaten. I'm tempted to go get a mess of it and put it up but I'm afraid if I did there'd be some hoarding intervention because we have way to much in the freezers already. But man am I tempted. Bt corn. A friend of mine plants quite a bit every spring. He said it's something like 5 times as expensive as the normal sweet corn seed and worth every cent. I've more or less given up on the spring stuff and am ready to start seeds for the fall garden. I did have good germination on a few things, it just all wound up at the end of the rows. Torrential rain has a way of causing slight erosion on freshly tilled soil. I do have plenty of green beans and tomatoes coming into production... only took three plantings to do it. My melon patch is about twice the size of 1982vetts but only has three measly plants in it. I probably ought to just pull them but I just can't bring myself to give up on them. ohiosteve wrote: Bt corn. A friend of mine plants quite a bit every spring. He said it's something like 5 times as expensive as the normal sweet corn seed and worth every cent. I think he is probably right. I've never grown corn that was this uniform or so insect free. Each ear was nearly perfect and the yield was heavy with most ears ripening at the same time. I walked maybe 20 feet picking from two rows and filled two five gallon buckets. I was also impressed at how little silk it had and how sweet it was. Hands down I think this was the best corn I've ever eaten. I'd hate to know what the seed cost. Is there a secret to growing tomatoes that no one has told me. I've never been able to grow tomatoes. I have the biggest healthiest plants that have been loaded with blooms for a month but not a single tomato. Jo, you are as lucky to have your Monsanto friend as I am to have my seed corn friend. This bt corn is almost impossible to buy, I will leave it at that. Cross-7 wrote: Is there a secret to growing tomatoes that no one has told me. Are they in full sun? Are they getting plenty of water? If so, has it been rainy and cloudy? This can mess with your pollination. Best to have lots of sun, good soil with plenty of water. You should also put down a tablespoon of epson salt in each hole you dig. This will help prevent blossom end rot when they begin to bear.